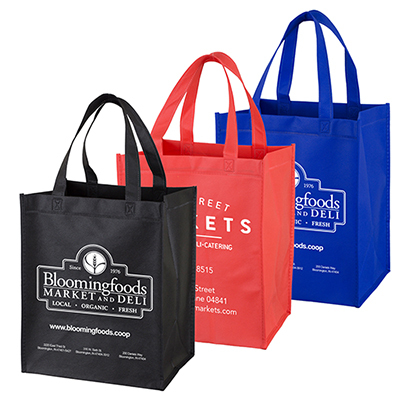 Product Size: 14-1/4" x 15" x 6-1/2"
Are looking for printed carrier bags? We’ve got for you the custom Dual Carry Tote bags. 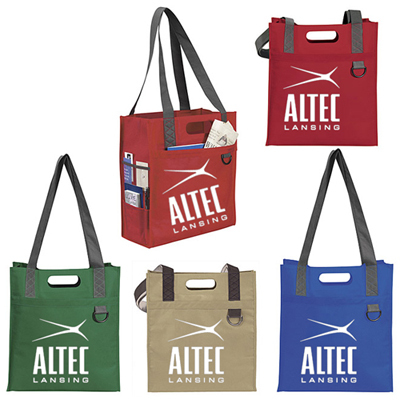 The tote is perfect if you have a promotional event at a beach or during the summer. 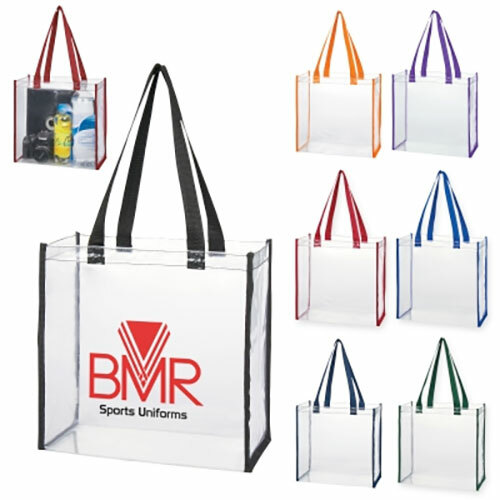 The printed carrier bags are durable and are perfect to pack your beach essentials. The dual carry feature with additional pockets makes it look extremely attractive. 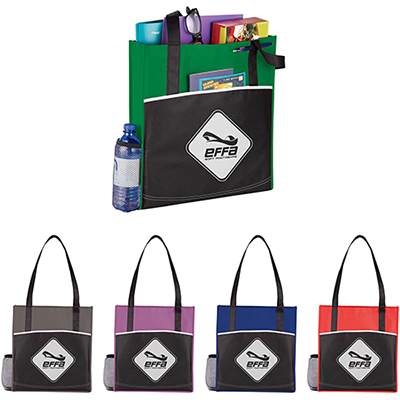 Place your order for the promotional Dual Carry Tote today and see your brand soar!